deliver as promised, and coach for success. Leadership is required to move away from the status quo and take your first step on the road to improvement. Leadership is required to determine the vision and stay the course along this winding and sometimes bumpy road. Leadership is required to bridge the gap with the other parts of the organisation. Reliability is something that can only be achieved when operations, maintenace, engineering, contracting & procurement work together towards a shared vision. Leadership is required to overcome the resistance you will encounter along the way – and you will. Leadership is required to embed all the changes along the way to make sure it all sticks and doesn’t become the flavour of last month. And ultimately Leadership is required to know that you are never truly finished on this journey. And along the way you need to build the right culture - a reliability culture. 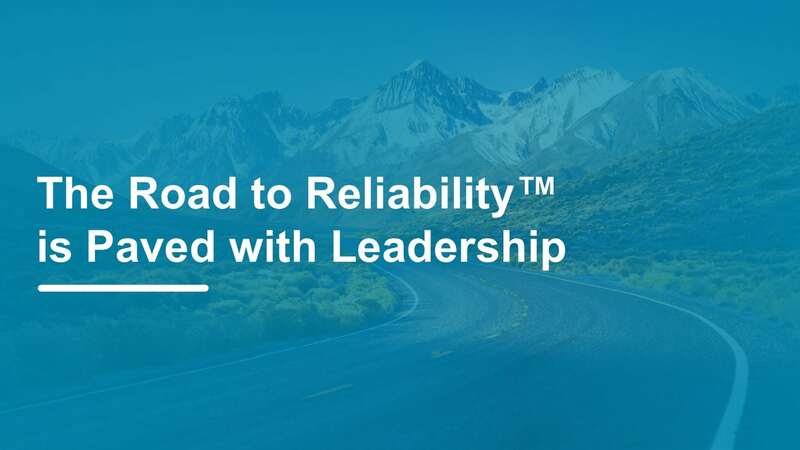 The importance of plant leadership in reliability has been long talked about, but Terrence O'Hanlon from www.reliabilityweb.com has really brought this to the forefront in recent years with his work around Reliability Leadership® 1 and the Certified Reliability Leader (CRL) program. My work in developing the Road to Reliability™ has been strongly influenced by Terrence O'Hanlon and other thought leaders of our industry like Winston Ledet and John Moubray. The problem is that business and leadership skills are underdeveloped in our maintenance & reliability community. Most maintenance managers come up through the ranks with strong technical backgrounds. But along the way their leadership and business skills are typically not developed. Few organisations recognise this. Even fewer organisations do something about it. But you need leadership skills and basic business skills to succeed on the Road to Reliability™ Framework. Not the soft and fluffy stuff. You need tangible, specific leadership and business skills to make the Journey to World Class Reliability. And that's exactly what we focus on here. You do not need to be a CEO to 'lead'. To succeed we need leaders at all levels of an organisation. And there is a simple, yet highly effective model to improve leadership that we can all learn to apply. 1I really like the practical definition of leadership called transformational leadership as introduced by leadership expert James McGregor Burns in his 1978 book "Leadership" and later further developed by Bernard M. Bass in his 1985 book "Leadership and Performance Beyond Expectations". The ideas of Bass and Burns were further distilled by: MindTools.com (2017) Transformational Leadership, MindTools.com. Available at: https://www.mindtools.com/pages/article/transformational-leadership.htm. It breaks a fluffy subject like Leadership into 4 practical steps that we can apply at all levels of an organisation. VISION - create a compelling vision of a better future. MOTIVATION - Motivate people to deliver the vision. Show them a better future in a world of Reliability. A better future for themselves. And a better future for your organisation as a whole. ACCOUNTABILITY - Manage the delivery of the vision by breaking it into small steps. Hold people accountable to deliver those small steps. Make progress visible and celebrate success. Often and early. COACHING - share your knowledge and experience to help your people perform better. And build more trusting relationships along the way. Creating an inspiring vision of the future. Learn what 'good' looks like in the world of reliability. And provide your organisation with it's own vision of the Road to Reliability. Motivating people to buy into and deliver the vision. Show them a better future in a world of Reliability. A better future for themselves and for your organisation as a whole. Manage the delivery of the vision by breaking it into small steps. Hold people accountable to deliver those small steps. Make progress visible and celebrate success. Often and early. Help your people perform better by coaching them on the job. Building ever-stronger, trust-based relationships with your people. We've all seen it. I certainly have seen it many times. And in many places around the world. A maintenance manager that knows what needs to be done, but somehow can't get it done. Can't get the organisation galvanised to take action. Can't get plant leadership to buy into the concept of a Reliable Plant. We know that a reliable plant produces more, costs less to operate and is safer to run. So why do so many maintenance and reliability managers around the world struggle to sell reliability to their leadership? These managers can't seem to express the value that reliability brings into the cold hard dollars that leadership count in. They can't equate reliability or maintenance improvement into production gains or bottom line benefit. Even more so than Leadership, business skills like these can be taught and learned. And that's exactly what is covered by the Leadership element of the Road to Reliability™ Framework. Why Are We So Bad At Maintenance? Maintenance performance across the world is pretty poor, no matter what industry or country you look at. What makes this worse is that the principles of modern maintenance management were pretty much defined and documented by the late 1980’s if not earlier. There is a classic saying in business literature that your people are your biggest asset. And just about everybody repeats this mantra everywhere you look. But today I’m telling you that just about everybody is wrong. 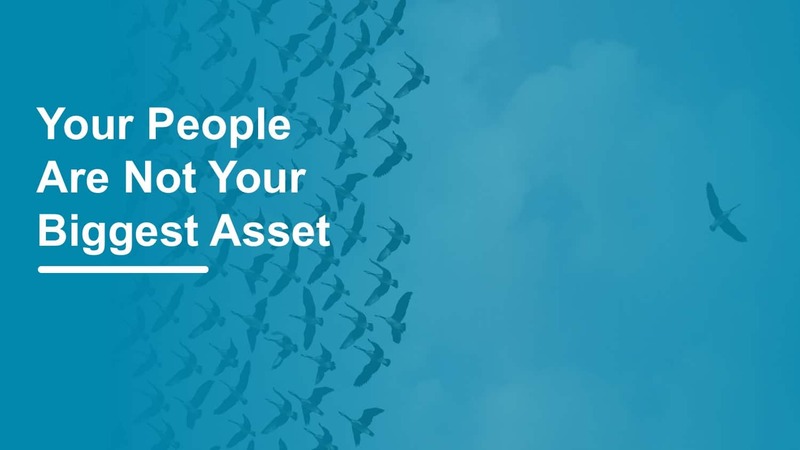 Your people are not your biggest asset. Before you start yelling abuse at me, let me explain. It starts with a quote often attributed to the famous management guru Peter Drucker. A frequently used saying is that leadership is about doing the right things and management is about doing things right. But, to succeed on the Road to Reliability™ you need to the right things and you need to do them right. So when it comes to leadership I prefer to define a leader as someone who provides vision, motivation, accountability and coaching.